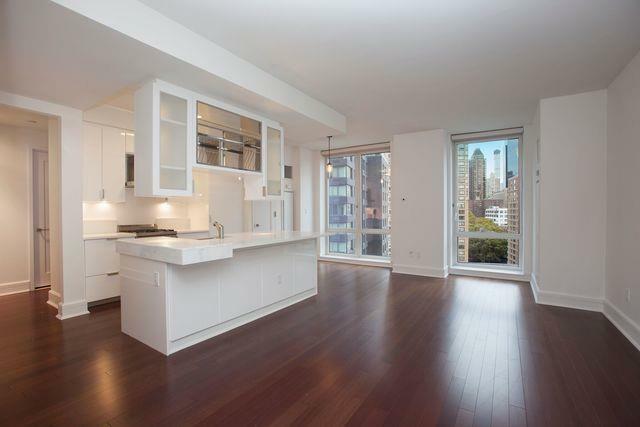 Beautiful Junior 4 at The Luxury Aldyn Condominium on Riverside Park! This unit features Bright Eastern Exposure, superb finishes, in unit washer and dryer , beautiful hardwood floors, a magnificent chef Island kitchen, high end appliances, quartz countertops, beautiful marble bathroom with separate shower and tub, Floor to Ceiling Windows, Generous closet space, and EXTRA HIGH CEILINGS! THE ALDYN sports over 40,000 square feet of amenities including a LA PALESTRA Athletic Club and Spa, a KIDVILLE, NY and more. With a 75 indoor pool, basketball / squash court, 38 rock climbing wall, bowling alley, yoga, pilates, a club lounge, on-site parking and more, The Aldyn is New York's Ultimate Sporting Experience. The location is great, adjacent to Lincoln Center, Columbus Circle, Shopping, Grocery, Restaurants, Riverside Park, and Vin Sur Vingt! 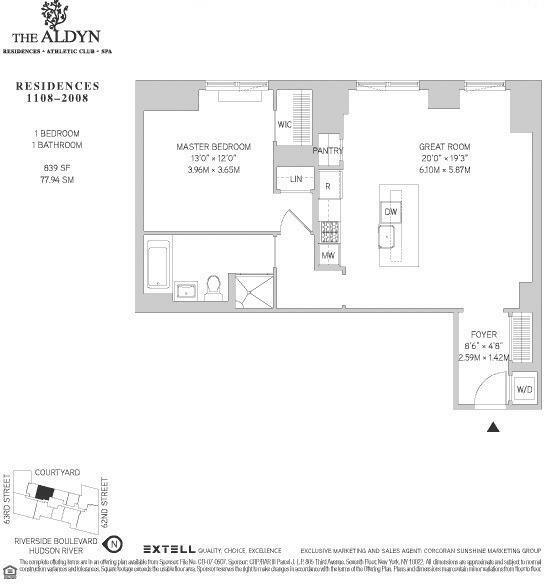 You will LOVE the Aldyn Lifestyle!